Looking for a repair on your domestic or commercial appliance? We cover all of Portsmouth & surrounding areas including Cosham, Chichester, East Meon, Fareham, Gosport, Hambledon, Havant, Hayling Island, Lee on the Solent, Liphook, Liss, Midhurst, Petersfield, Southsea, Waterlooville, and most of the following counties Hampshire, West Sussex and Surrey. We have a dedicated professional team of Service Engineers and office staff and carry out sales, installations and on site repairs to built in integrated and free standing washing machines, dishwashers, tumble dryers, vacuum cleaners, refrigerators, freezers, ovens, cookers, hobs, extractors and cooker hoods both domestic and commercial. We currently service, repair and sell most makes and models of domestic and commercial appliances including Bosch, Siemens, Neff, Miele, Hotpoint, Creda, Ariston, LG, Samsung, Whirlpool, AEG, Candy, Cannon, Caple, Electrolux, Baumatic, Zanussi, Stoves, Rangemaster, Belling, Diplomat, Indesit, Beko, Servis, CDA, Fisher & Pakyel, De Dietrich, Frigidaire, Gorenje, Hair, Hoover, Kenwood, Kuppersbusch, Lec, LG, Liebherr, Matsui, Maytag, New World, Philips, Smeg, Tecnik, Teka, Tricity Bendix and most other makes. Portsmouth, Cosham, Chichester, East Meon, Fareham, Gosport, Hambledon, Havant, Hayling Island, Lee on the Solent, Liphook, Liss, Midhurst, Petersfield, Southsea, Waterlooville, and most of the following counties Hampshire, West Sussex and Surrey. We are your local repair specialist, for a fast friendly service call Portsmouth 02392 987262 and speak to one of our support team who are happy to help. PLEASE NOTE: We recommend you read our full terms & conditions before completing your booking. Prefer to discuss your fault with a qualified appliance engineer then.. Here at Portsmouth Appliance Repairs Ltd we value our customer's feedback. Very good service by this company. The got my Baumatic fridge freezer repaired in no time. The engineer was extremely helpful and explained everything he was doing. Gave my lots of confidence with them as I had not used them before. Well done Portsmouth appliance repairs for a job well done. Super service and very professional repairman who fixed both my dishwasher and washing machine. I was told Beko had gone bust but this company explained to me when I booked the call they could still get parts for both Beko appliances. Both machines working fine now. Very good service given. Portsmouth Appliance Repairs Ltd fixed my Neff dishwasher and Smeg oven cooker. Good quick service. I would use them again. My Fisher & Paykel integrated dishwasher broke down at our holiday home in Portsmouth. We live in London but found this excellent company on google. The staff on the phone were great and the engineer picked up keys from letting agent fixed the dishwasher and dropped keys back. If your a landlord like me then service like this is important as we phoned fisher and paykel and they said they could not do this. If your a landlord or letting agent then this is the company for you. Thank you Portsmouth appliance repairs for your excellent service. My neff washing machine broke down for the first time in 8 years. Got repairman from this company to fix it. Great job done. Neff washing machine working great now. Great service and very good engineer. Indesit dishwasher working fine again thanks to good work from repairman. Thank you Portsmouth appliance repairs. Very pleased with this company. Good service given to my siemens appliance. Cheaper then calling a Siemens dishwasher engineer. Would recommend. Top marks for this appliance company. Excellent service. Got a quick booking and engineer arrived on time to even calling me before he arrived. He repaired both my hotpoint dishwasher and tumble dryers on the same call. Very impressed. Will recommend them to my family and friends. Liebherr American Fridge Freezer broke down at our house in Fareham Hampshire so got a repair done from Portsmouth Appliance Repairs. Great engineer called Dale who had fridge freezer working that same day. Liebherr fridge freezers are not cheap so very happy he fixed it. Thanks for a great service. Good company. Had a very nice repairman come to my house to fix my Samsung tumble dryer and microwave oven. They both packed in within days of each other. The repairman called Dale was very professional and polite. He cleaned up after himself and had both appliances fixed before he left. He said the Samsung tumble dryer needed resetting and the microwave oven just needed a fuse. Great service. I would recommend this company. My lovely old Miele washing machine stopped spinning so all my clothes were coming out wet. I called Portsmouth appliance repairs who got it died with just a small part. Working fine again now. Very quick and good service. Office staff were very friendly too. Good company. I got a repairman from Portsmouth Appliance Repairs Ltd do a repair to my maytag whirlpool integrated washing machine. Very pleased with the result. Fridge freezer even seems to be cooling better then before. Very good engineer and office staff on the phone were very helpful. Way cheaper then going direct to Maytag or whirlpool. Portsmouth appliance repairs set me a very good engineer called dan to repair my Bosch American style fridge freezer. He defrosted it and fitted a part to cure the faults. Lovely and quite now and no frosting up. Great service and reasonable prices too. Bought my Hotpoint dishwasher about 12 years ago and this was its first breakdown. The engineer did a fine job and had it working again within the hour and didn't have to fit any parts. Thank you Portsmouth appliance repairs. I will recommend and use you again. We were very impressed with the reviews on this company's website so decided to try them and were not disappointed. From the office staff to the engineer who called we got a very professional service. He got our Bosch washing machine fixed the same day. Can't praise them enough. Would recommend to anyone. Hotpoint microwave oven repair by Portsmouth appliance repairs. Our microwave oven stopped heating. Got out engineer from this company to repair it. He fixed it quickly and at a good cost. Hotpoint were quoting double for a microwave oven engineer visit. Very good company. Zanussi integrated coffee machine repairs and serviced in Fareham Portsmouth Hampshire. I love coffee so was gutted when my beloved Zanussi coffee machine broke down. Engineer from this company did have to order a part to get it fixed which did take two weeks as Zanussi didn't have part in stock but it's working great now. Thanks to all at Portsmouth appliance repairs for getting my favourite Zanussi coffee machine appliance working again. AEG Electrolux washing machine repair in Petersfield near Portsmouth Hampshire. 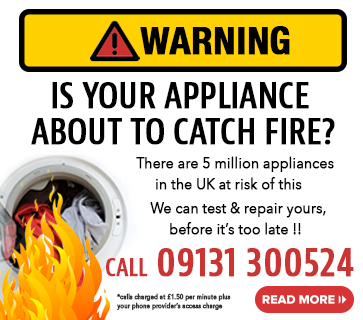 This company Portsmouth appliance repairs are great and I would recommend them. It did take them a few go's to fix my AEG Electrolux washing machine but it now works better then before. Was kept updated on the phone by lovely office staff to. I would use this company again and recommend them. Top service. Really impressed with this company. Very fast efficient service and excellent repairman who was polite and professional. He fixed my stoves rangemaster cooker with an oven element and had it working again within the hour. Top marks. I would recommend this company. Dyson vacuum cleaner serviced by Portsmouth appliance repairs. Had a very nice repairman fix our well used dyson vacuum cleaner from this appliance repair company in Portsmouth. He completely stripped it down and serviced everything and had it hoovering or should I say dysoning again in just an hour. Vacuum-ing wonderful now. Thank you for a great service.